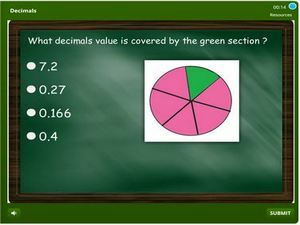 This is a 4th grade math quiz on decimals. 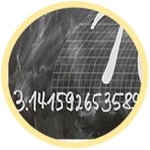 It features activities concerned with deducing decimals from illustrations, models of decimals and fractions, comparing decimals, decimals number patterns, concerting fractions to decimals and decimals to fractions. It also introduces students to the notion of rounding up decimals to the nearest whole number. This quiz also serves as a self-testing tool for educators who can remotely access the score of students. This quiz is compartible for mobile and scores can be tracked. Learn on the go.